The findings are reported online in the journal Naturwissenschaften. 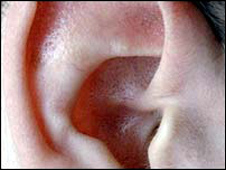 The researchers obtained significantly more cigarettes when they spoke to the clubbers' right ear compared with their left. In conclusion, the researchers said: "Talk into the right ear you send your words into a slightly more amenable part of the brain. "These results seem to be consistent with the hypothesised specialisation of right and left hemispheres." "Most people process speech and language on the left-hand side of the brain and while it is not cut-and-dry a lot of what goes in our right ear will be dealt with by the left-side of the brain. "The other side of the brain is more involved in things such as interpreting emotion and that is why we have these kind of findings. "We can also see this tendency when people use the phone, most will naturally hold it to their right ear."